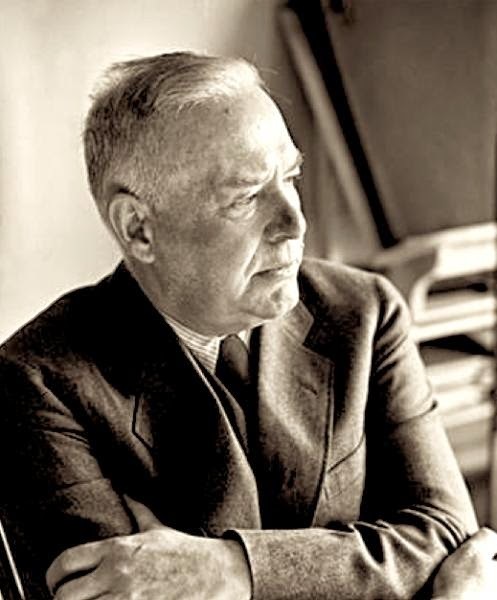 Born in Pennsylvania, Wallace Stevens was educated at Harvard College and New York University Law School. He practiced law in New York City from 1904 to 1916, a time of great artistic and poetic activity there. On moving to Hartford, Connecticut, to become an insurance executive in 1916, he continued writing poetry. His life is remarkable for its compartmentalisation: His associates in the insurance company did not know that he was a major poet. In private he continued to develop extremely complex ideas of aesthetic order throughout his life in aptly named books such as Harmonium (enlarged edition 1931), Ideas of Order (1935), and Parts of the World (1942). Some of his best known poems are "Sunday Morning", "Peter Quince at the Clavier", "The Emperoro of Ice-Cream", "Thirteen Ways of Looking at a Blackbird", and "The Idea of Order at Key West". Stevens's poetry dwells upon themes of the imagination, the necessity for aesthetic form and the belief that the order of art corresponds with an order in nature. His vocabulary is rich and various: He paints lush tropical scenes but also manages dry, humorous, and ironic vignettes. Some of his poems draw upon popular culture, while others poke fun at sophisticated society or soar into an intellectual heaven. He is known for his exuberant word play: "Soon, with a noise like tambourines/Came her attendant Byzantines". This poem seems to complain about unimaginative lives (plain white night-gowns), but actually conjures up vivid images in the reader's mind. At the end a drunken sailor, oblivious to the proprieties, does "catch tigers" - at least in his dream. The poem shows that the human imagination - of reader or sailor - will always find a creative outlet.